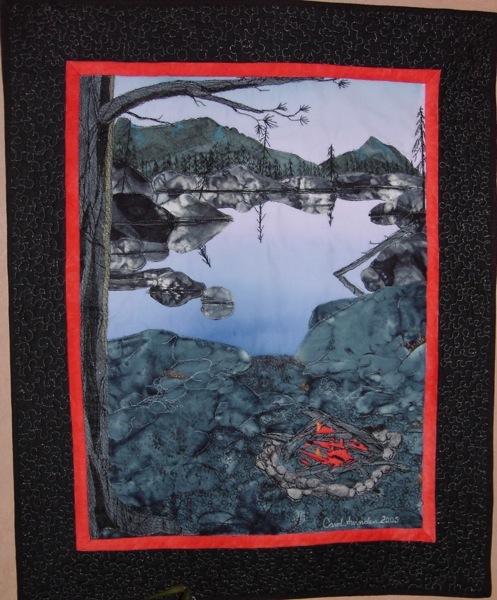 My award-winning quilt, ‘Reflections’. I took the picture of a neighbour’s ’59 Caddy, took a pattern from it, blew it up and proceeded to take one and a half months to put all the little pieces on. 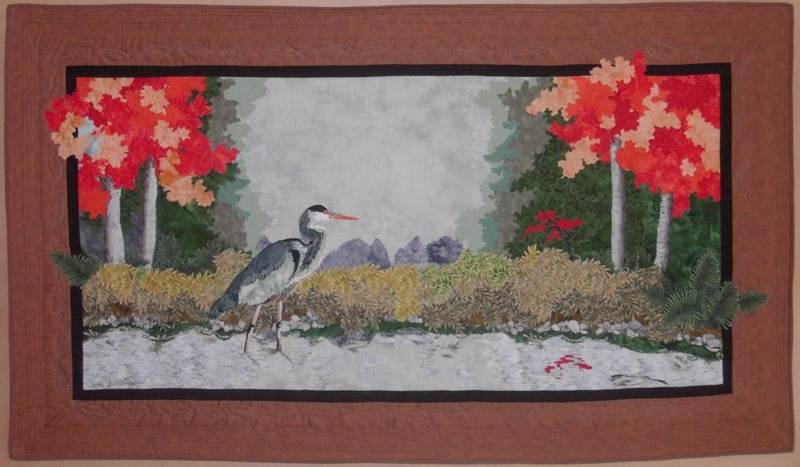 I used a combination of tulle and organzas to create the subtle shading and highlights.This quilt won a judges’ choice award in the Canadian National quilt show in 2010, and the Grand Prize in the American Sewing Expo in Michigan Sept 2010. 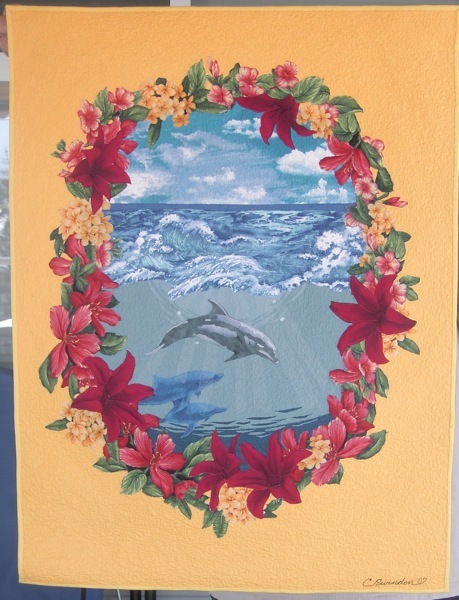 This quilt will be featured in the Aug , 2014 issue of The Quilt Life magazine. For sale as a poster on my Boutique page. 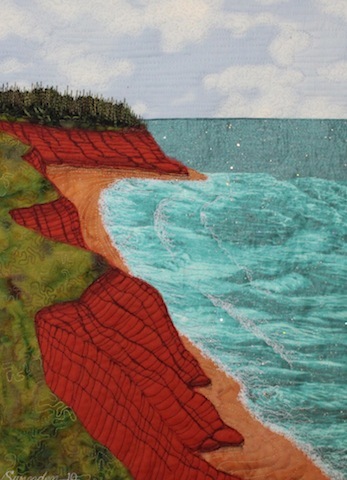 This is one of many Red Cliffs of PEI quilts that I have done. 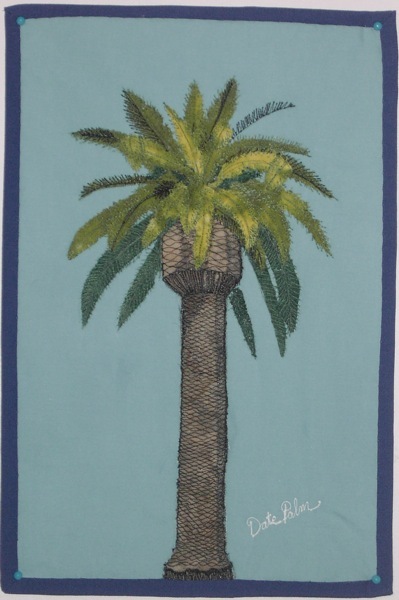 16″x20″ Pattern available. 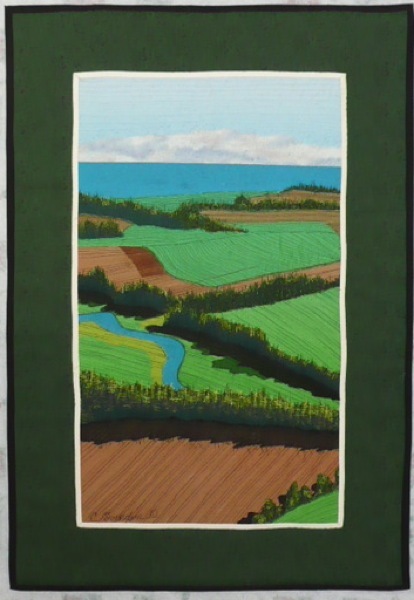 This is a quilt of a drift fence on Cavendish beach PEI. 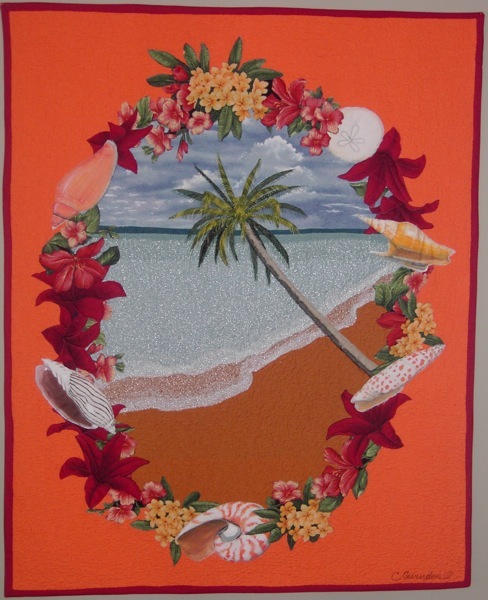 13.75″x13″ This is now a popular class project and a pattern is available. 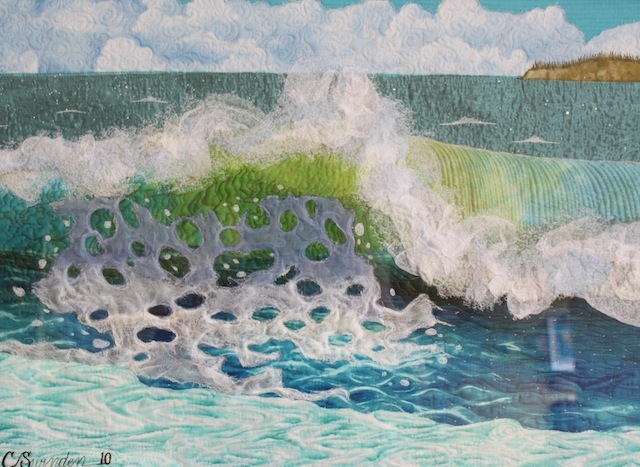 Here is the first quilt in a series of wave pictures. I was trying for the typical ‘painted’ look. I use organza extensively in these for froth. It is called: The Rock Still Stands. 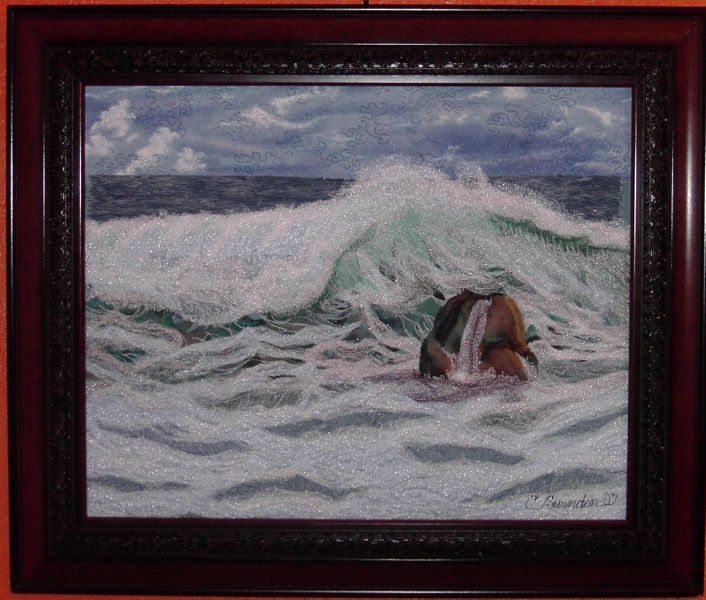 16″x20″ This is a 3-4 day workshop project. Pattern available. 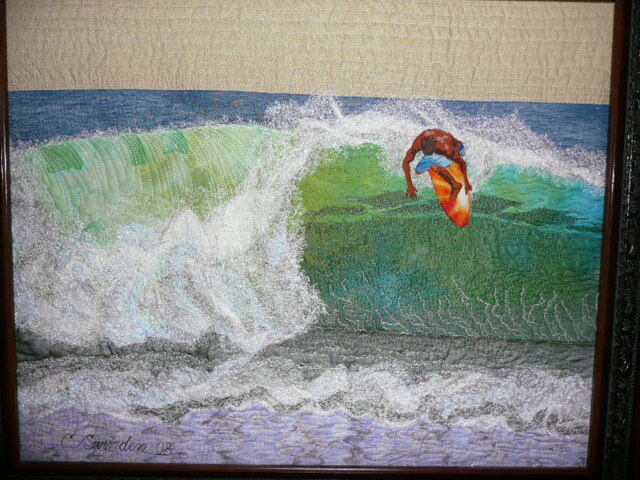 This quilt, called ‘Surf’s Up’ is the latest in the series of wave quilts. Lots of organza for froth and the first-time use of cheesecloth as surface foam. 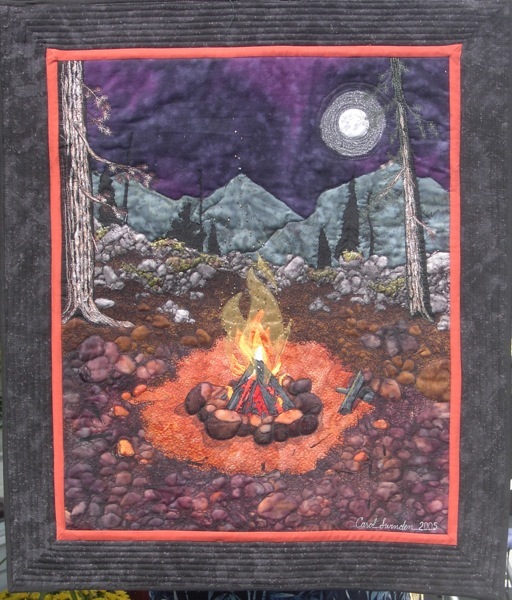 18″x24″ This quilt was featured in the July/August 2014 issue of Quilt It Today magazine. This is the view from our upstairs library window. 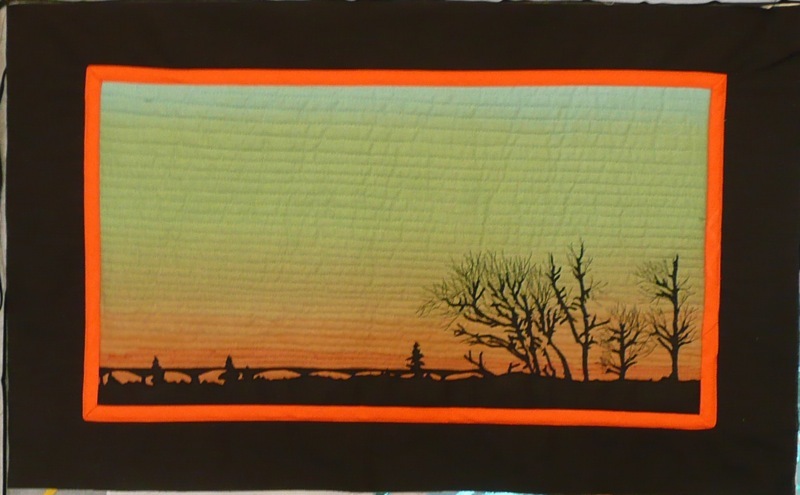 The sunset shading was done by layering orange and red tulle over the blue/green fabric. 27″x16.5″ SOLD Pattern to be available soon. This is called ‘Patience’ and it is full of mistakes. (did I write that out loud?) 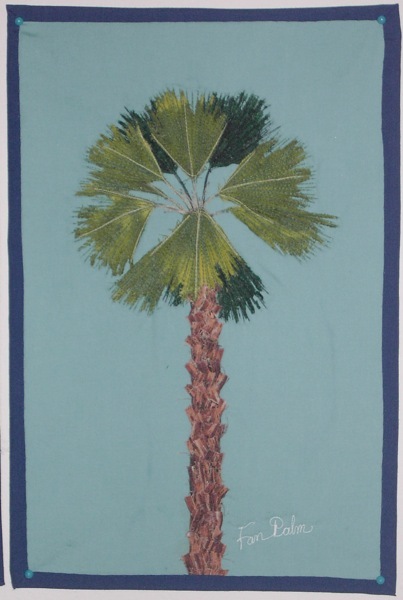 It was so much fun that I didn’t stop at one and now as of Aug 2011, I’m working on my 132nd quilt. Tropical Moments. One of my favs. 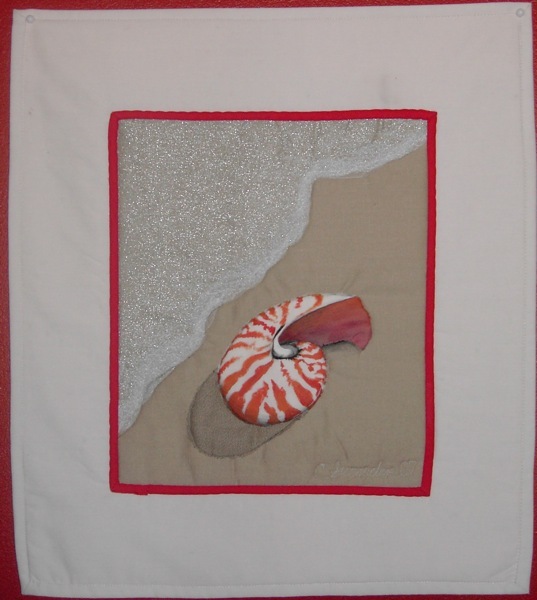 24″x30″ I painted the shells on fabric first, then cut them out and added them into the border. Another one of my favourites. 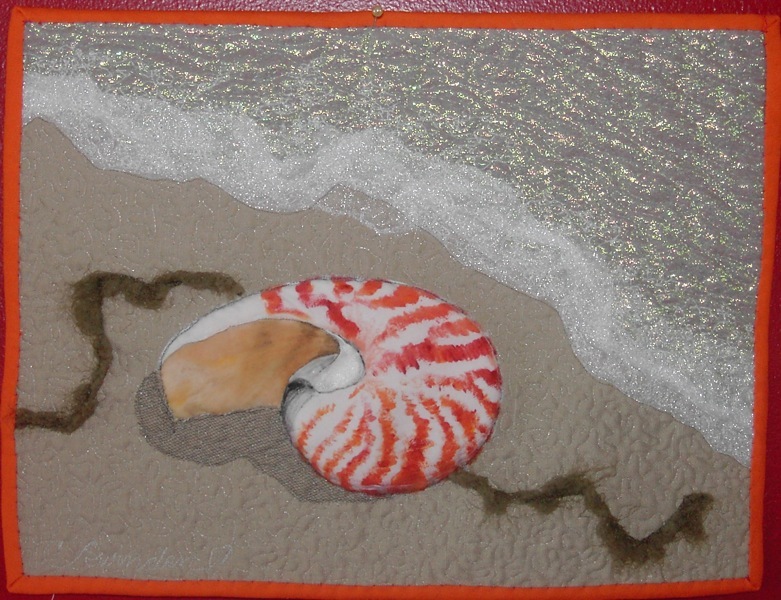 15″x17″ Can you tell that Nautilus shells are the ones I like best? 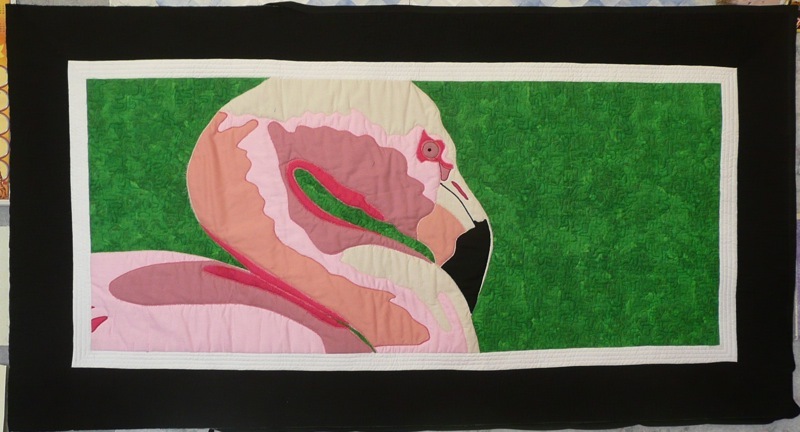 First quilt in my ‘Up Close and Personal’ series. Here’s the Zebra. 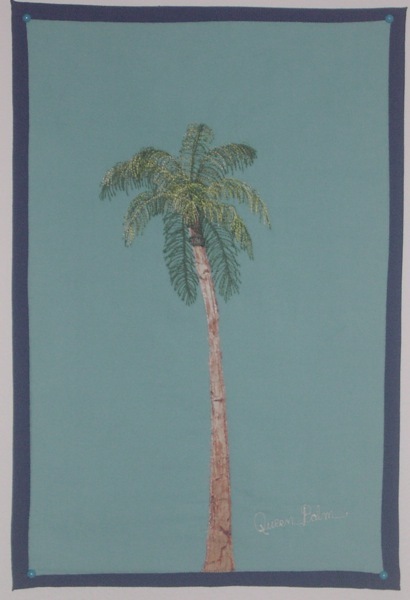 57.5″x26.5″ Pattern available. The Tiger. 59.5″x27.5″ The pattern for this quilt is available and is the most popular of all my patterns so far. 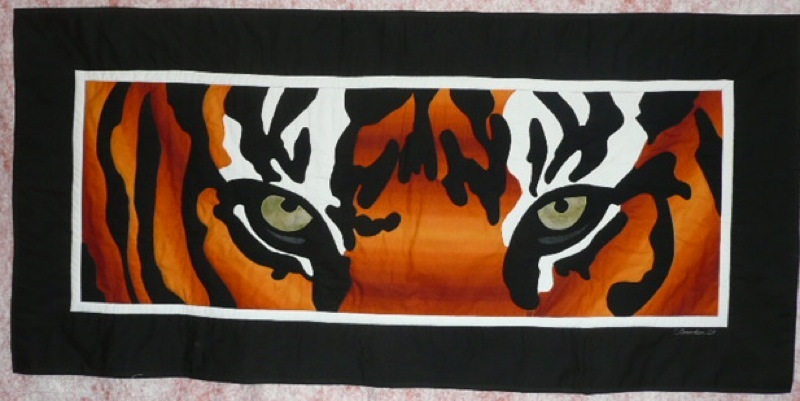 Stay tuned for further Up Close and Personal quilts! How does one purchase one of these patterns from you? I am just getting paypal set up. You then just let me know which pattern you would like, and I’ll mail it to you. 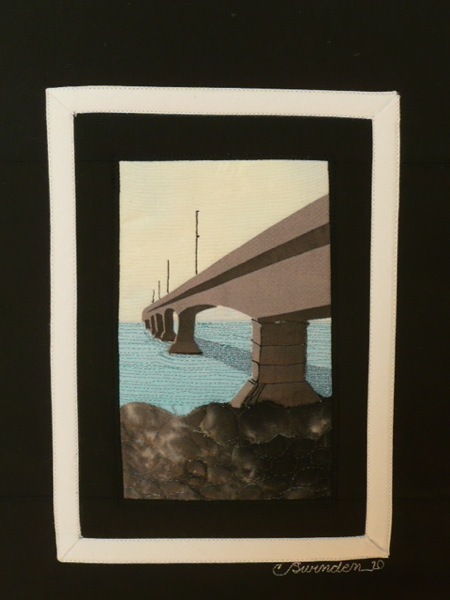 i just love your art, i am a fabric artist and really love reproducing the world around in fabric. mistakes and all it is so much fun i cant stop. Thank you for your many inspiring works of art. Have a very Happy Holiday! 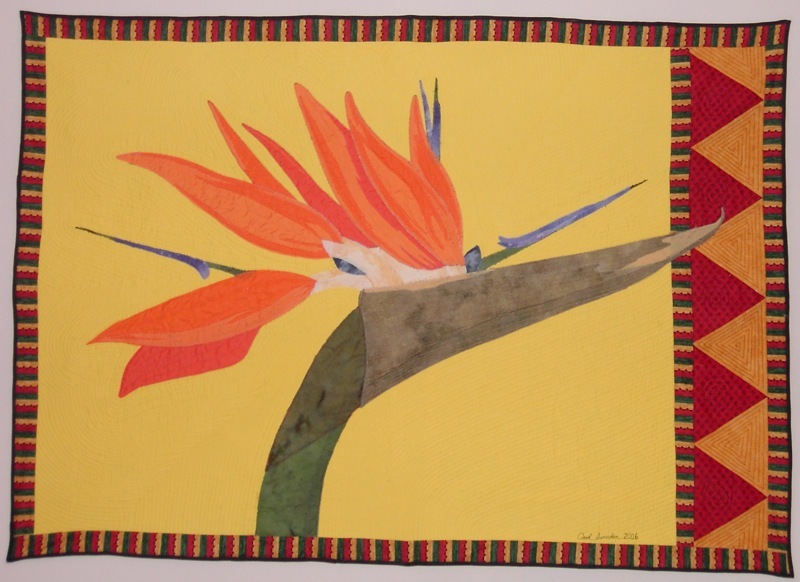 Carol, I feel like I am seeing old friends when I look at your beautiful quilts. 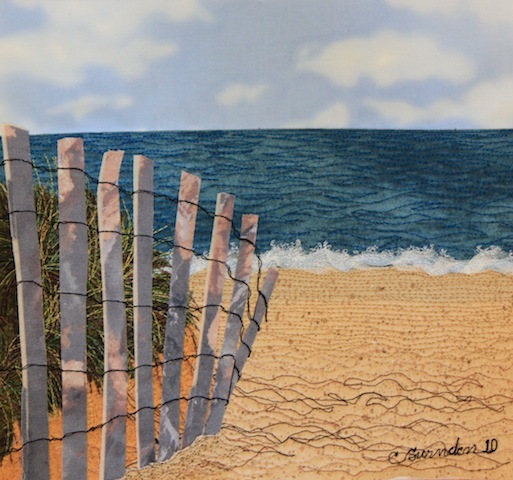 Is there an avenue by which to purchase your work? 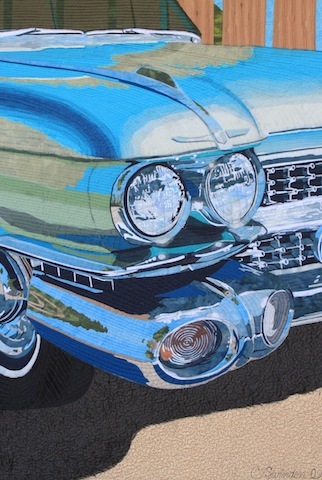 I am particularly interested in “Reflections” the 1959 cadillac quilt. I saw it in Houston and was very impressed with subject and detail. You are very talented indeed. Some of my pieces are for sale. Reflections -at the moment- is in my private collection as it is possibly appearing in a magazine and doing some traveling. I would love to know how you did the reflections quilt of the car. My son owns a 63 bis cane and I would love to make a quilt for him with his car on it. If you check out my method for doing ‘Celise’, it is the same as the one used for ‘Reflections’. I had my photo printed onto an acetate sheet and blew it up onto a sheet of paper I had taped to the wall. 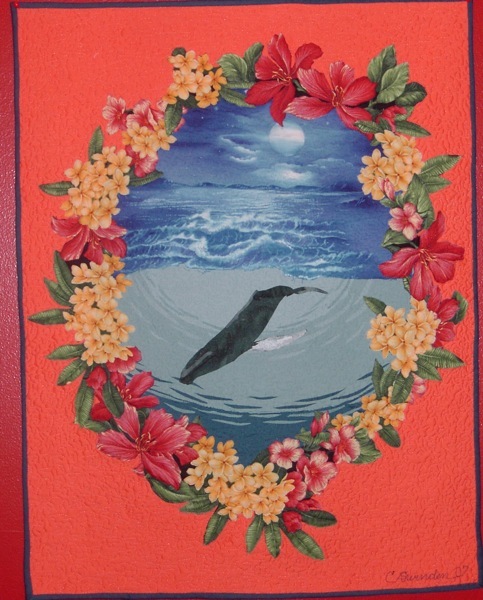 You then trace over all the areas you want to include in your quilt and use that as your master. 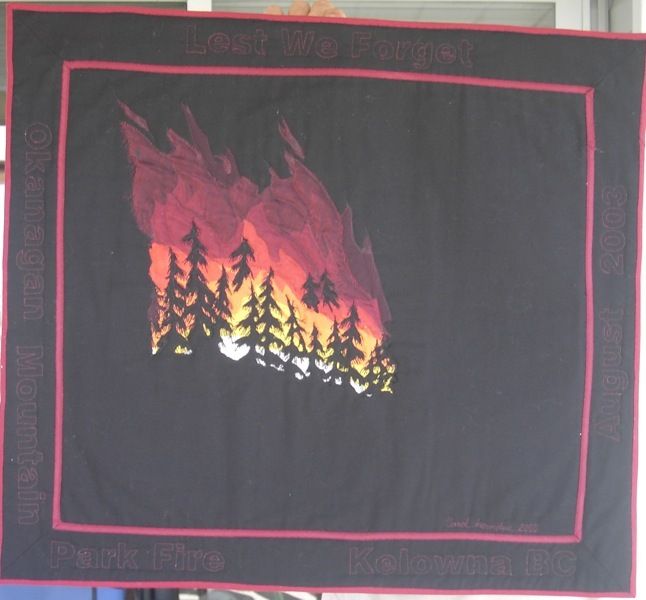 That sounds like a great project you have in mind, it would be cool to see a picture of the finished quilt if you tackle it!